Untreated Sleep Disordered Breathing is a problem of epic proportions; hundreds of millions of people worldwide are affected. Lack of care kills millions of people every year. Comorbid conditions such as heart disease, diabetes and Alzheimer’s are caused by and exacerbated by untreated sleep-related breathing disorders. costing global healthcare systems billions of dollar annually. DreamSleep is committed to spreading access and raising awareness of treatment options, specifically Oral Appliance Therapy, delivered by qualified dentists. Our online and on-demand dental sleep medicine education and credentialing, clinical training and marketing programs have implemented our proved dental sleep medicine methodology in practices across the United States. DreamSleep is proud to now bring this program to the international community. Today DreamSleep has established programs in Canada, South Africa, Ghana and soon Thailand and Central America. National and regional engagement is managed by a designated Regional Clinical Advisor (RCA). Each RCA is responsible for marketing and growing dental sleep medicine in their designated region. RCAs recruit dentists in their region for education, credentialing and clinical training in dental sleep medicine. Each RCA provides clinical support and coaching (for a consulting fee) to practices in their region, helping ensure DreamSleep protocols are followed. 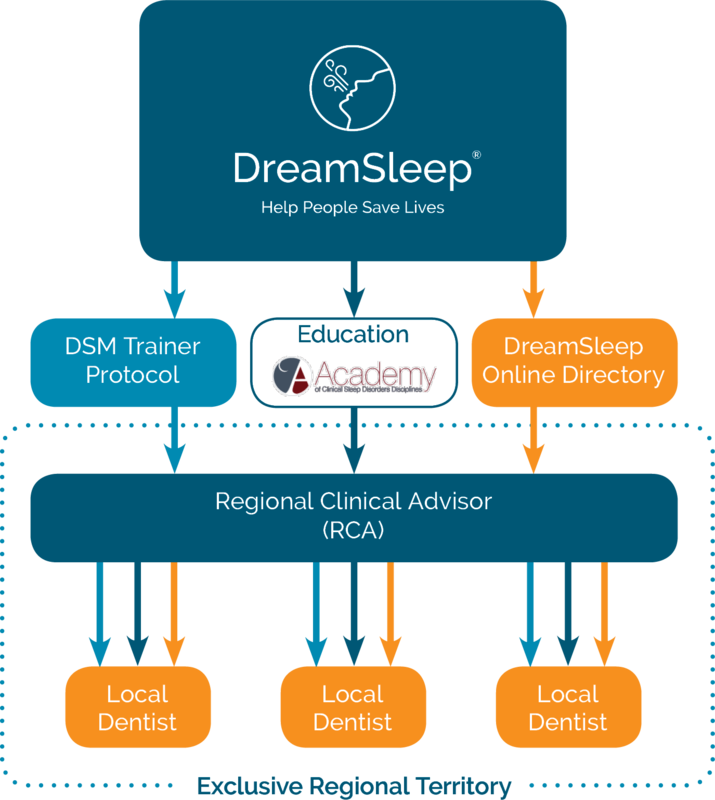 DreamSleep provides backbone support through online, on-demand education and credentialing, marketing material, and worldwide dental sleep medicine directory. Contact N3Sleep to learn more or to discuss and individualized training plan.